ATEX is derived from the French words ‘Atmosphéres Explosibles’. It’s a joint directive of the European states regulating minimum essential health and safety requirements (EHSRs); overseeing the standard of manufacture, installation and usage of equipment in explosive atmospheres and working environments. All equipment sold or installed into potentially explosive atmospheres within Europe after June 2003 must comply with the ATEX 94/9EC standard. The worthiness of the ATEX standard has grown to world-wide acclaim and acceptance, gaining industry respect in the USA, Asia, Australia and beyond. Due to global demand, (and desiring further certification of our World-class quality) Austart applied for and obtained the latest ATEX certification for our range of turbine air starters. Hazardous working environments receive a ‘Zone’ classification. Each classification rates the potential of explosive vapours/gas/mist/dust in or around a working area – and the levels of protection required against sources of ignition. Examples of zoned working environments are: coal mines, off-shore oil or gas platforms, petrol or chemical production/transfer facilities, flour mills, ships, tugs and some warehouses handling flammable goods. 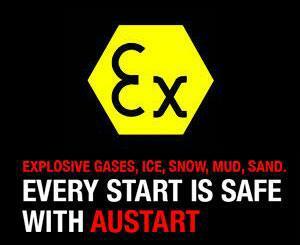 Austart air starters are Zone compliant – meeting the classification of these working environments. This certification is specific to our Hallam, Victoria manufacturing facility. What is it and why have it? Often mistaken as a Governmental body or doctrine, the ‘International Organisation for Standardisation’ (ISO) was established in 1947. It is supported by over 1 million organisations, throughout 162 countries, as the global body for implementation of on-going quality assurance. ISO specifies the measures and standards for high-quality products and services provided from better-managed companies. The motivation of ISO is that better companies amount to stronger communities – on a global scale. Success of this objective has been reported by Dun and Bradstreet amongst other reputable sources. 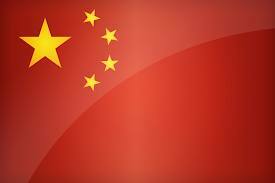 Austart is a proud member of the global ISO 9001 business community. Why? Because via this independently-tested standard of procedures, we’ve identified and implemented advancements from management right through to every level of production, storage, service and dispatch. ISO 9001 is a self-perpetuating cycle that produces pride in our workplace and our customers benefit from the best possible products and service that surpass statutory and regulatory requirements. An annual audit regime makes certain our focus and standards remain at the highest level. Put us to the test. Call or email to experience, first hand, the finest products and optimum service Austart provide.